They are the rubble-strewn relics of a forgotten age of bustling prosperity: a mosque, a minaret, a hospital and a marketplace. 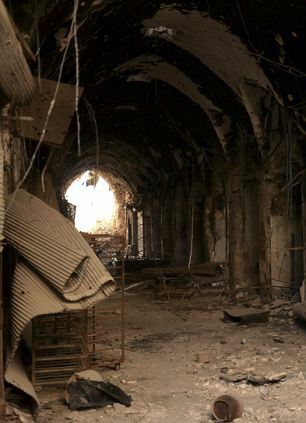 Now in ruins, they have been destroyed by a war that is not only killing generations of Syrians but also history itself. And as these before and after pictures show, a heritage built over more than 5,000 years is being slowly buried under rubble. 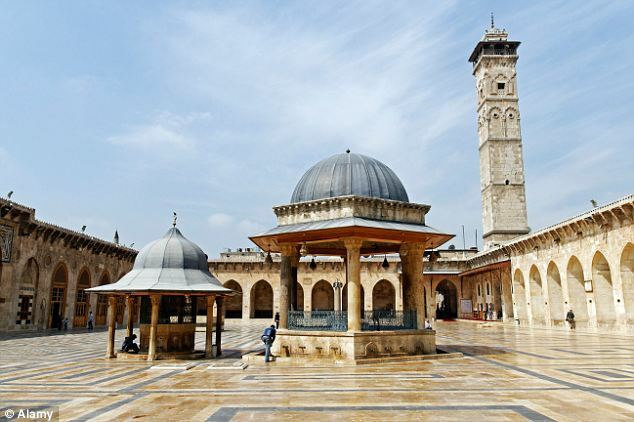 The ancient Umayyad Mosque of Aleppo was once an imposing testament to ancient Syrian architecture, and said to be home to the remains of Zechariah, the father of John the Baptist. But now its famous courtyard is filled with bricks and rubbish while its walls are blackened and pock-marked by almost three years of fighting. 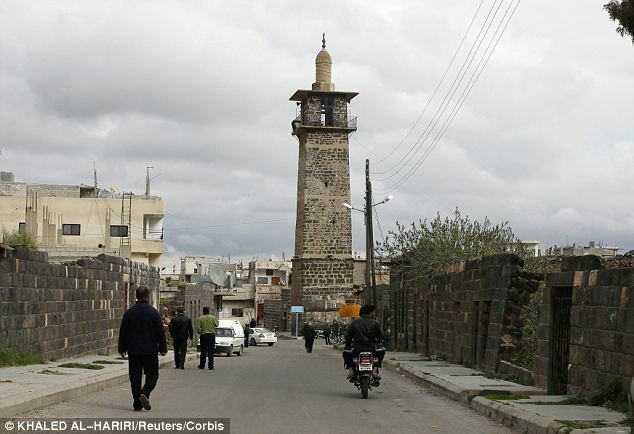 Then there is the famous minaret of the Omari Mosque in Deraa under which anti-government protests have been held almost every day since the conflict began. The historic mosque is said to date back to the 7th century. 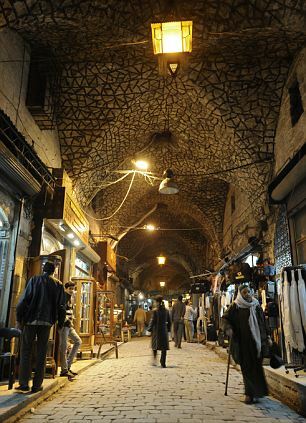 Aleppo’s Souq Bab Antakya was once a maze of winding passageways and cobbled streets selling a cornucopia of food, clothes and trinkets. But it now lies silent, but for the sound of bombs and gunfire, as forces loyal to president Bashar al-Assad attempt to flush rebel fighters from its streets. 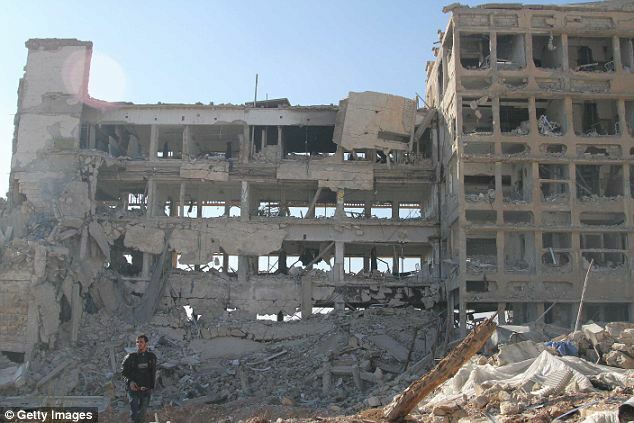 Nearby, al-Kindi hospital is just a shell of the modern building it was. 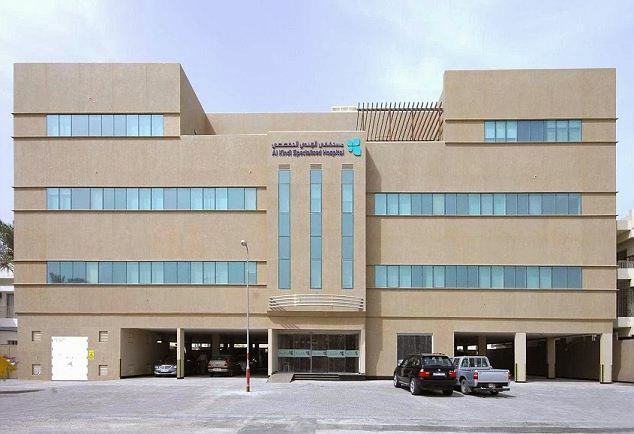 There are no patients, no doctors, no ambulances, no life at all at this once modern medical hub. 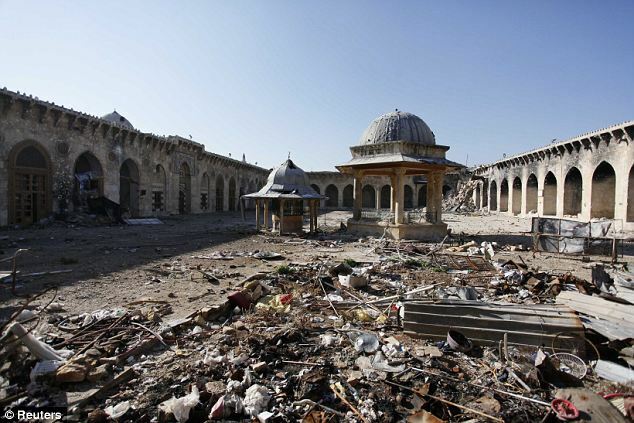 In May 2012, Durham University PhD student Emma Cunliffe, a member of the Global Heritage Network, prepared a report on the damage done to Syria’s heritage sites, detailing the many civilisations that helped build contemporary Syria. ‘Numerous bronze-age civilisations left their successive marks, including the Babylonians, the Assyrians and the Hittites,’ she said. 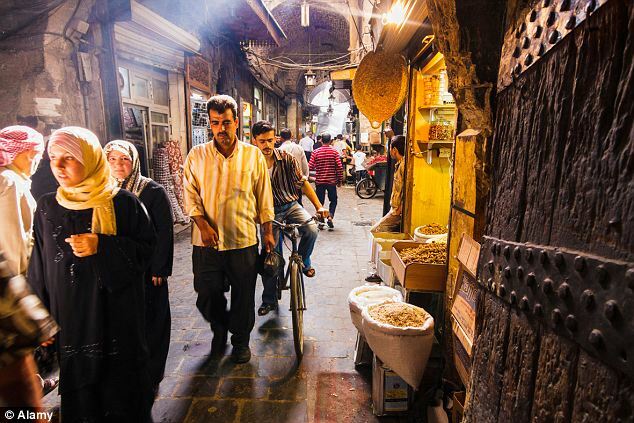 ‘They, in turn, were replaced by the Greeks, the Sasanians, the Persians, the Romans and the Arabs, many of whom chose Syrian cities as their capitals. Meanwhile, it has emerged that the Syrian peace talks in Geneva are deadlocked over the divisive issue of transferring power to a transitional government, sources told the BBC. The Syrian government team reportedly presented a ‘declaration of principles’ that did not mention transfer of power, before it was rejected by the opposition. It reportedly insisted that Syrians choose a political system without ‘imposed formulas’ from outside, while also insisting on discussing ‘terrorism’ rather than transfer of power. Also today, the United States said it has restarted deliveries of nonlethal aid to the Syrian opposition, officials said Monday, more than a month after al-Qaida-linked militants seized warehouses and prompted a sudden cutoff of Western supplies to the rebels. The communications equipment and other items are being funneled for now only to non-armed opposition groups, said the U.S. officials. 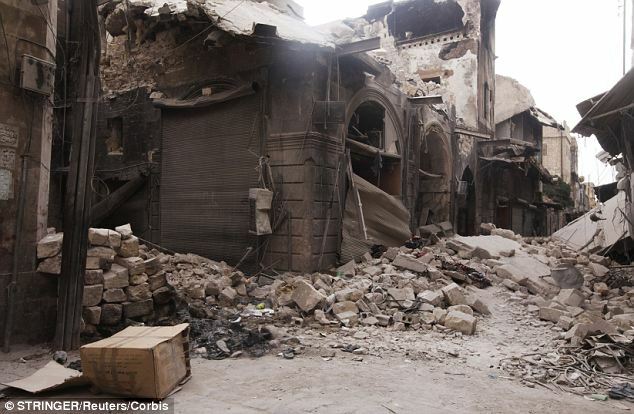 However, Syria’s opposition says there has been no progress on aid convoys reaching the besieged city of Homs and the release of prisoners from government jails. Opposition spokesman Monzer Akbik said talks on a political transition in Syria will go ahead regardless. ‘We will start talking about a new Syria,’ he said in Geneva as the government and opposition delegation sat down again with a UN mediator for talks. A tentative agreement was reached on Sunday to let women and children leave a blockaded part of Homs. But Mr Akbik described the deal as a ‘moral outrage’ and said people trapped in the city should receive aid inside their city and then have the freedom to leave or stay. The UN mediator earlier said the two sides have reached a deal to allow women and children to leave a city under government siege for more than a year. 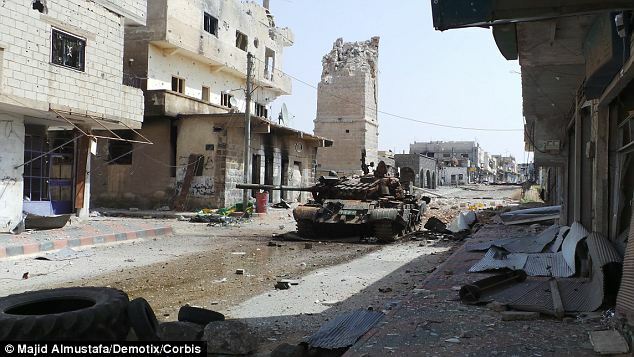 Lakhdar Brahimi acknowledged that the step was a small one – he had hoped for an agreement to let humanitarian aid into Homs. But the agreement was the first tangible outcome from peace talks that have been marred from the outset by low expectations and acrimony. Mr Brahimi defended the pace of the talks, which have yet to touch upon the issue of president Bashar Assad’s future. ‘You may gain one hour and lose one week,’ he said.